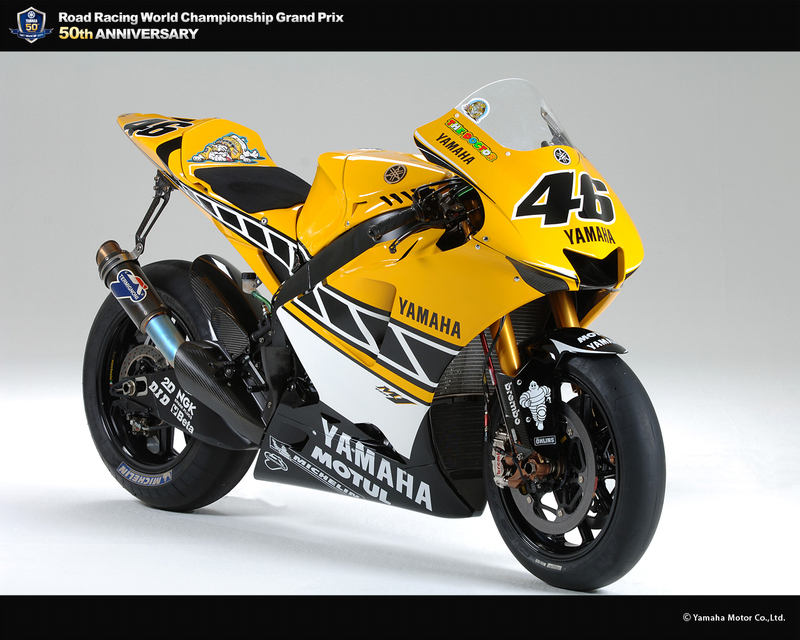 YZR-M1(0WP4) - race | Yamaha Motor Co., Ltd.
A new, more compact engine was adopted. 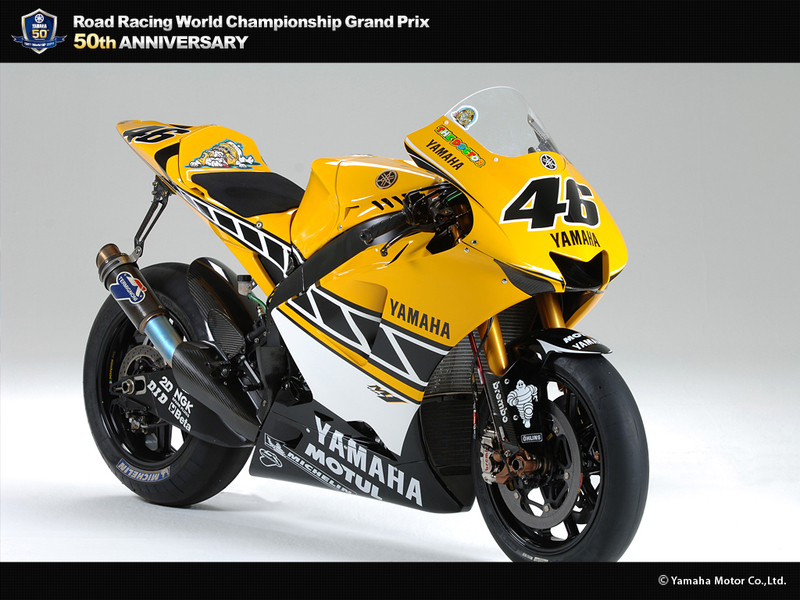 The stroke was shortened and bore increased while still managing to keep the engine width the same as the 2004 model and lessening the width in the fore-aft direction. To accommodate the higher revving engine spec, the drive mechanism for the cam shafts was changed from a chain type to a gear type. Furthermore, the cam driven gear was moved from the usual position on the right side of the engine to a center position, thus achieving a design with fewer parts for less horsepower loss. Compared to the previous year's model on which the air duct passed through the radiator, the OWP4 adopted a design running the duct through the head pipe to improve intake efficiency while also contributing to good cooling performance. The frame design was changed to remove the cross member, thus making it possible to achieve a rigidity balance with slightly lower lateral rigidity while maintaining roughly the same torsional rigidity and longitudinal rigidity. Design elements such as a change in the shape of the fuel tank contributed to the centralization of machine mass, thus reducing the inertial moment of the machine. The resulting 3% reduction in inertial moment on the roll axis, 2.1% reduction on the yaw axis and 2.5% on the pitch axis contributed to more agile handling. 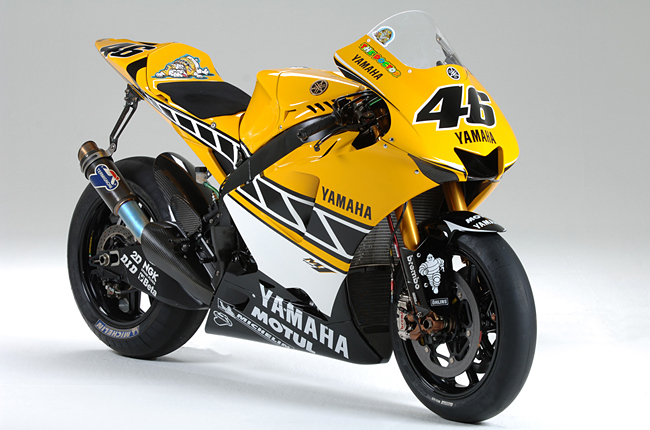 The synergistic effect with the new aerodynamically designed cowling also contributed to an increase in top speed that enabled the 2005 model to achieve higher top speeds at an average of 5 km/h on almost all the MotoGP circuits. It also contributed to a roughly 8% improvement in fuel economy. 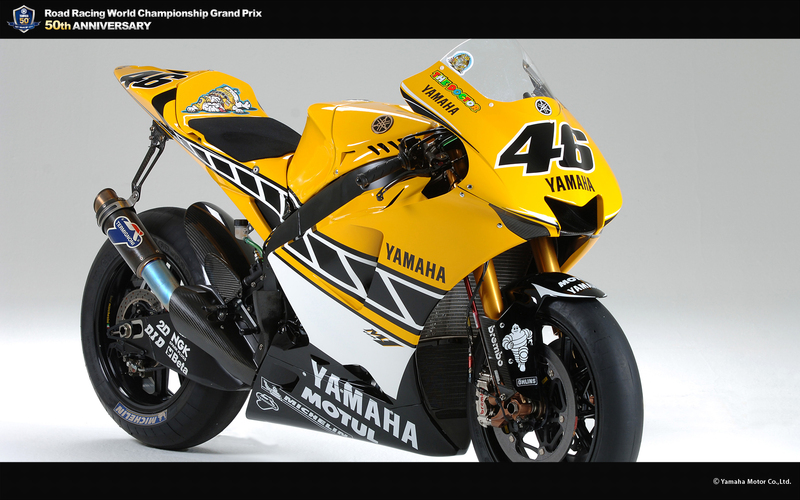 With this machine, Yamaha won the MotoGP "triple crown."